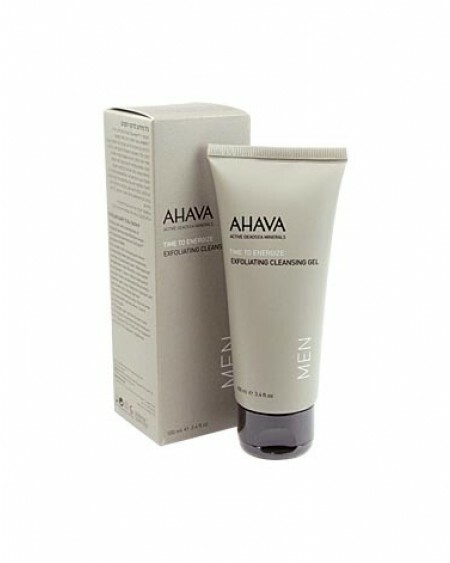 AHAVA Men's Exfoliating Cleansing Gel. This micro-scrub cleansing gel is the ideal pre-shave treatment for men, it contains soothing, energizing ginseng root for smoother, suppler skin. Its intensive formula gently removes dead skin cells and deeply embedded impurities to thoroughly clear, condition and refine pores. Thick facial hairs will be softened and primed for a closer shave, and ingrown hairs kept at bay. Size: 100 ml / 3.4 fl. oz.